It is a well-established fact that internet users and the use of e-Commerce is increasing at a high pace. With this, the challenge to reach your target audience before your competitors is tough. Investing too much on advertising is definitely not a solution. Therefore, to keep the advertising and marketing to its cheapest and attaining what needs to be attained, Google AdWords is the solution. Here are the top 10 adwords tips for ecommerce websites. Using the right keywords and analyzing the competitor’s strength is an important part of AdWords campaign. Using the right keywords will help generate leads for your website. Using the right tools like keywords planner and WordStream, keywords can be very influential. Know your target audience better by using certain parameters like age, gender, education, etc. You should also know your product industry and the suitability of product’s delivery. The images and pictures of products displayed on any e-Commerce site are its backbone. The users prefer original, unedited pictures that look genuine and provide them the temptation to buy the product. For this reason, it is beneficial to focus on display ads rather on text ads to steal the show. Re-marketing campaign is an effective means to reach your targeted audience. You can create re-marketing lists with the help of re-marketing tags to be sent to your potential audience. Creating a Google merchant account for online retail business will help you to post product listing ads. 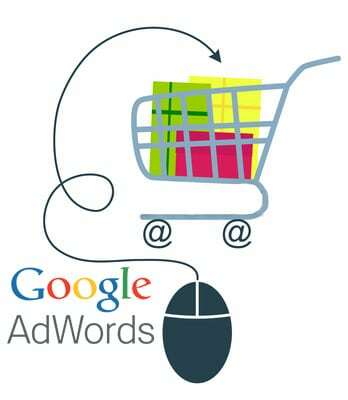 Also, with the help of it, shopping ads campaign can be carried out on Google. Dynamic display of ads is an amazing solution in Google AdWords to display the random images on partnered websites of Google. Create a campaign of dynamic display ads and get your product promoted easily in less time period. Enable dynamic search ads for your ads as it’s not possible to add text on each and every product. This Google AdWords feature will help easy finding of products from a long list. Gmail sponsored promotion or GSP is a cheap solution for ecommerce advertising by Google AdWords. It involves different types of ad formats that help you in reaching more of your customers through Gmail. To activate it, you need to contact to AdWords REP and get yourself enlisted for AdWords account GSP. Take pains to properly setup analytics tool, Google webmaster and AdWords conversion for the better performance of your ecommerce site. These setups help in tracking codes of website. Campaigns are followed by a performance report like conversion reports, Geo graphics report, search terms report, ads performance reports and device reports etc., with the help of Google AdWords. Do proper analysis of these reports and take advantages of ECPC and CPA strategies.